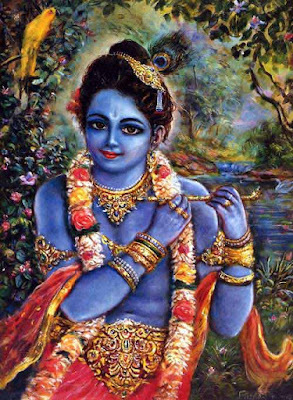 Hindu Gods and Blue color – Why Avatars of Hindu Gods are shown as having blue color? In Hinduism, Gods like Lord Vishnu, Lord Krishna, Lord Ram and Lord Shiva are shown as having blue or dusky skin. The color of the skin is shown as either blue or sometimes black. Hindu religion is full of symbolisms and the blue color is also a symbol. Most avatars of Hindu gods are also shown in blue color. Blue is the color of the infinite. All Hindu gods are an attempt by the human mind to give form to the formless Brahman (God). The color blue symbolizes immeasurable and all pervading reality – formless Brahman. Swami Chinmayananda talking on the subject says that whatever is immeasurable can appear to the mortal eye only as blue; thus the cloudless summer sky is blue to us because the endless distance of space is interpreted by the physical eye as blue in color. 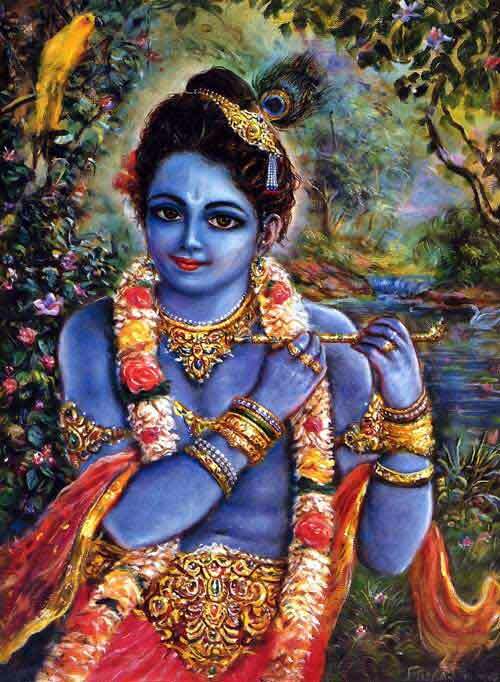 The blue color thus teaches us that what appears as Lord Vishnu, Krishna and Shiva is the all pervading reality. Brahman (the Supreme Reality) takes a particular form to satisfy the human mind.